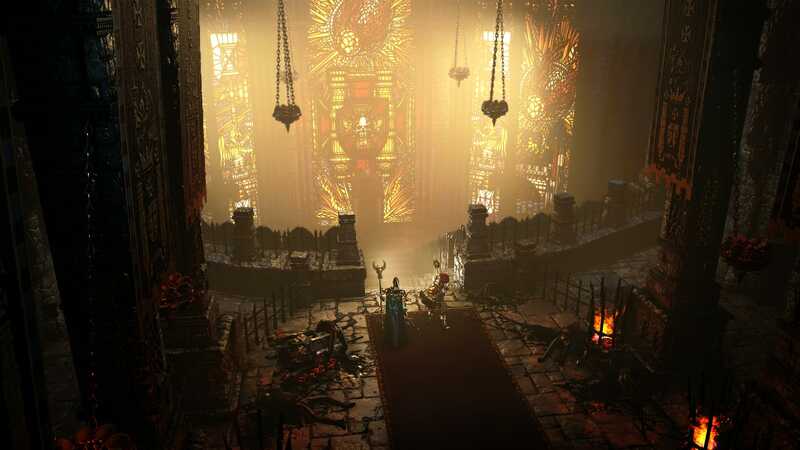 Bigben, Games Workshop, and Eko Software have been introducing the playable cast of Warhammer: Chaosbane with a series of gameplay videos. 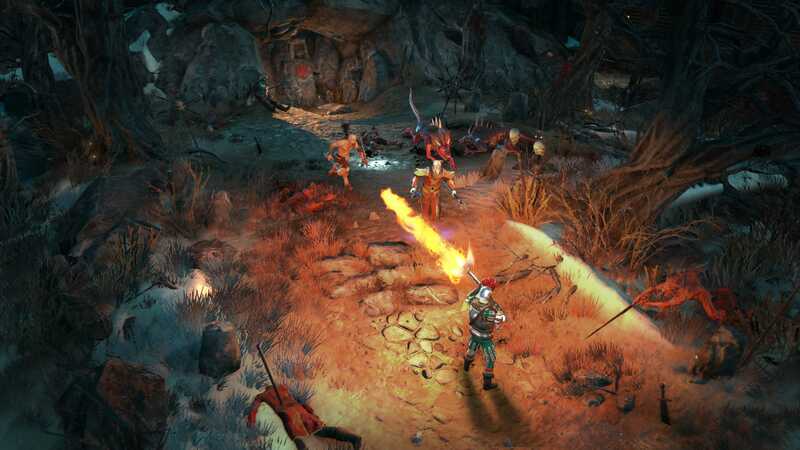 Each video showcases one of the four playable characters in this Diablo-like action RPG. Find the four character trailers below, alongside character descriptions from Bigben and a set of screenshots. 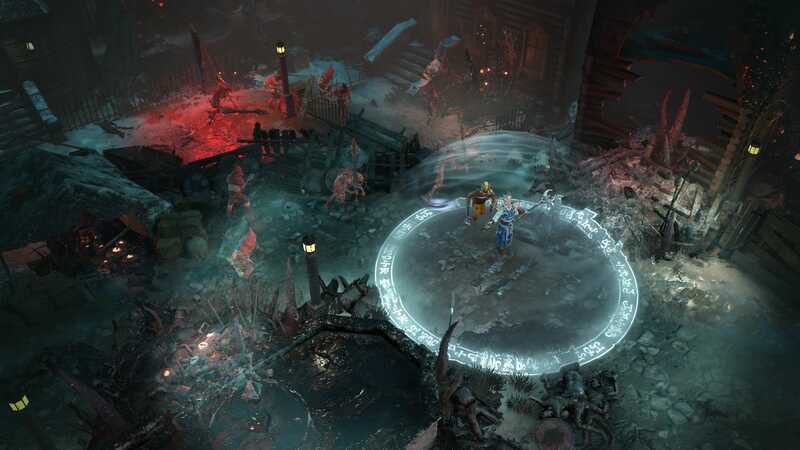 Warhammer: Chaosbane is set to release for PlayStation 4, Xbox One, and PC on June 4. 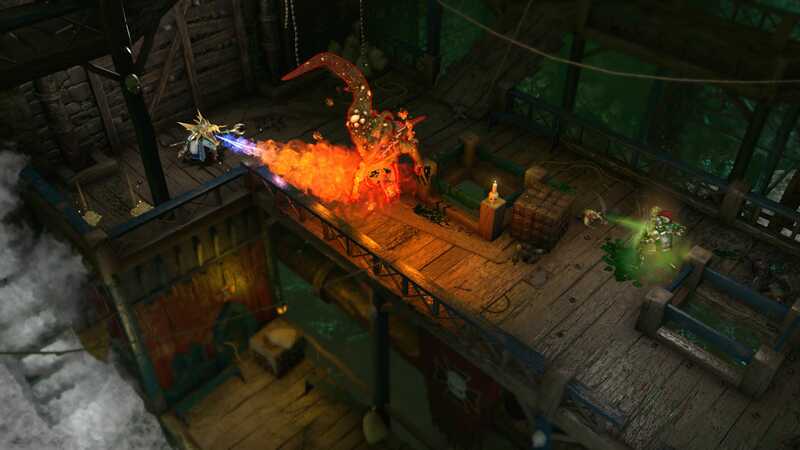 More information can be found on the game's official website. Elontir, a High Elf mage, is a veteran who has already fought the forces of Chaos at Praag, then during the siege of Kislev, which has earned him a certain renown among his peers. This ranged damage specialist’s mastery of the Winds of Magic allows him to cast numerous spells while his dexterity allows him to quickly put distance between himself and a foe attacking him in melee. 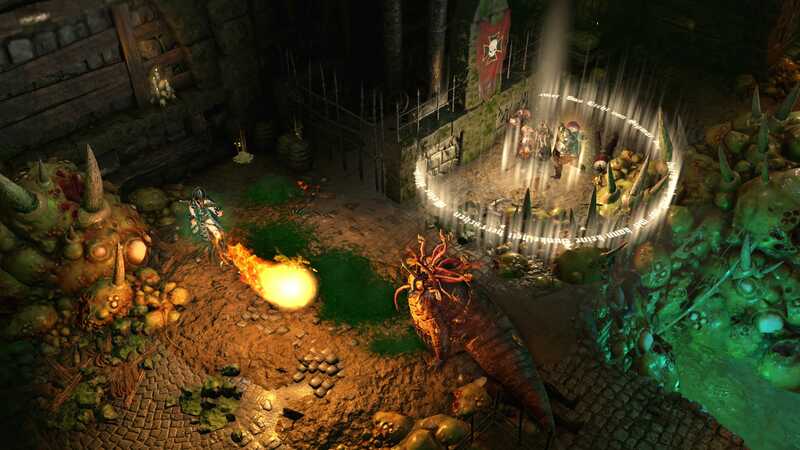 Like each of the game’s characters, Elontir has a unique ability: he can precisely control the area-of-effect’s position for his spells using the controller’s right joystick or holding the space bar. With this capacity Elontir can, for example, slow time down on the enemy’s path to help his allies decimate the Chaos hordes. 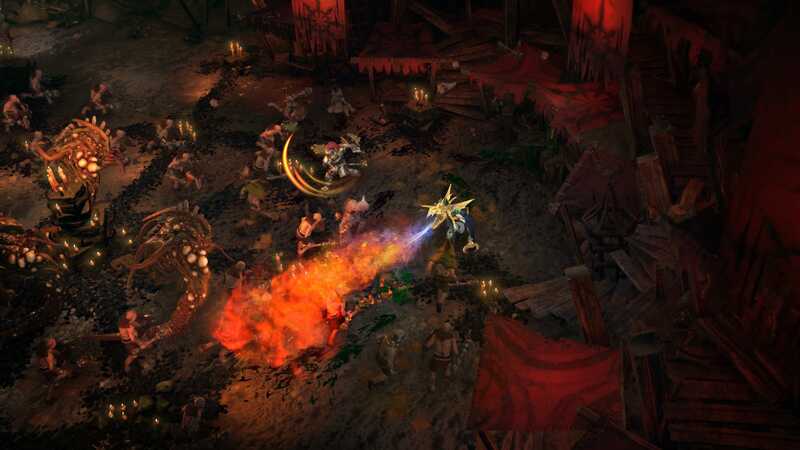 This effect can also be used to accurately push a group of enemies towards his allies who specialise in close combat, in perfect complementary cooperation. This ease of movement is augmented by the dwarf’s unique ability: he can throw his axe and launch himself at whatever it’s stuck in, whether that’s a wall or a Nurgling, using the controller’s right joystick or holding down the space bar to target. Then he can rain down blows upon his target before jumping to the next enemy. 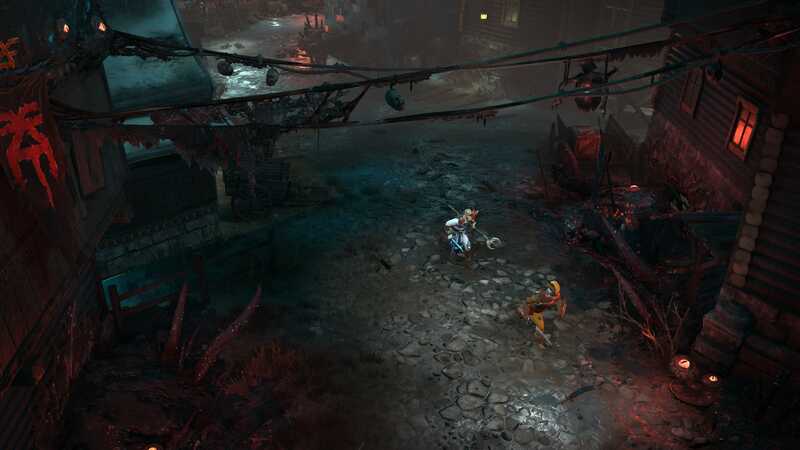 In cooperative, he’s the perfect character for eliminating a dangerous enemy who’s far from the melee while his teammates take care of the front line. Elessa the Wood Elf is a scout who proved herself in Magnus' army thanks to her mastery of long-range combat and exceptional mobility. 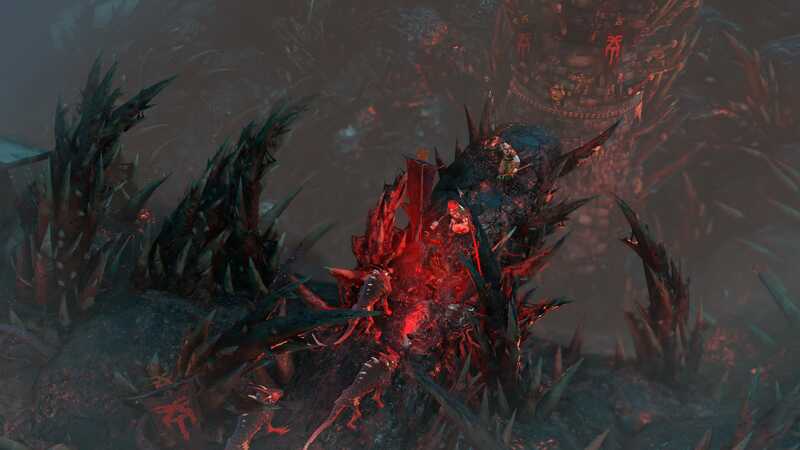 Elessa has an arsenal of skills based on persistent damage, able to injure and poison a large group of enemies. She can also summon forest spirits known as Dryads to help her in battle. 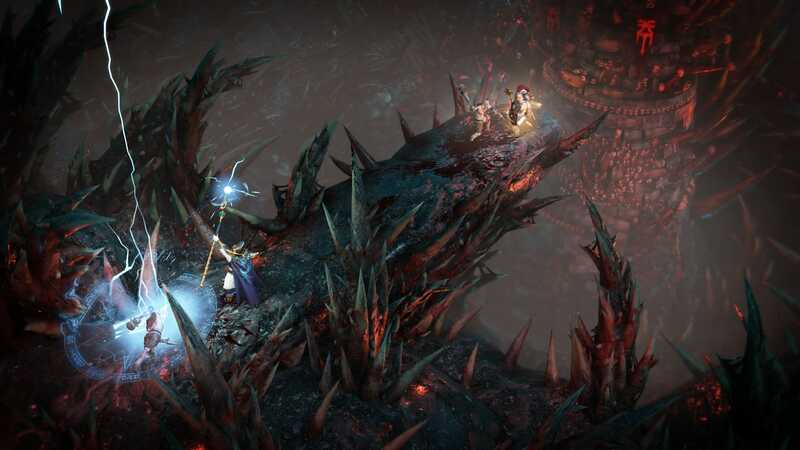 Even when surrounded, her wide range of skills lets her turn the situation to her advantage: spells to slow down the hordes, dodge, or entangle.